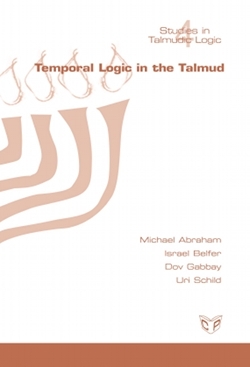 This book studies Talmudic temporal logic and compares it with the logic of time in contemporary law. Following a general introduction about the logical handling of time, the book examines several key Talmudic debates involving time. The book finds that we need multi-dimensional temporal models with backward causation and parallel histories. 2. Actions involving entities defined using future events (Breira), connecting with ideas from quantum mechanics. The book concludes with a general comparative discussion of the handling of time in general law and in the Talmud.